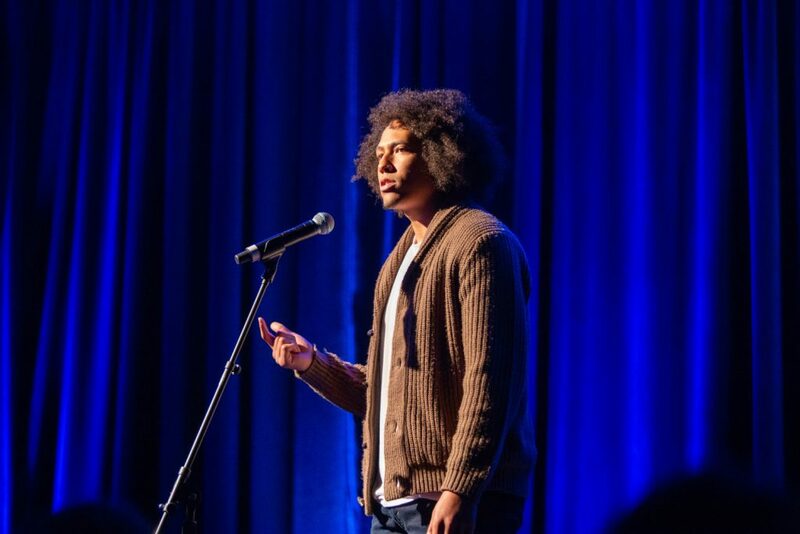 Guest blog post by Christian Paige, educator, keynote speaker and spoken word poet. The StriveTogether national Cradle to Career Network Convening last week was nothing short of amazing. The event was a metaphor for me. I had the privilege of opening and closing the convening with spoken word performances honoring two leaders who have made significant deposits in my life and community. The first piece was a summary of the impact that education nonprofit Degrees of Change and its executive director, Tim Herron, had on myself and my as emerging leaders. The second was a call to action that Pat Thompson, living community legend in White Center, Wash., left us with as we took on the call of becoming pillars in our community. Recently, Tim told me it was an honor to have me as a “friend” in the work. I have always looked up to Tim and I have been confused by the shift happening in my life where folks are no longer seeing me as pupil but as peer. I am 25 and, in most circles, would still be considered “youthful.” It seemed like everywhere I turned at the convening, “youth voice” was the topic of conversation. I was watching young people work on equal footing with seasoned community pillars to create change that impacts the most affected people in their cities. I heard about engaging youth in city planning through the Dream Game in Cincinnati’s Roselawn neighborhood, watched the Technology Enabled Girl Ambassadors (TEGAs) gather voice from community members and children who are consistently overlooked, and listened to a young man named Madj Aljada in his collaboration with San Antonio boldly say that his peer group will hold political positions in the near future. The metaphor was clear: This is the shift that our communities have been waiting for — the idea that seats at the table could be shared with individuals whose lived experience could best inform the work. We often use inaccessible language like “adaptive or responsive leadership” to describe this process, but Tim calling me a friend in the work was the type of adaptability and responsiveness that will change our communities. Dominique Ervin of Tacoma (the greatest city on the planet!) told the audience during the opening plenary, “Don’t be afraid to communicate with somebody who doesn’t look like you or sound like you.” I believe he captured the essence of my experience at StriveTogether. What if we just called people who are different from us (in age, gender, race, socioeconomic status, orientation, etc.) our “friends” in the work? What would the table look like then? What could we accomplish? (See definition for inclusion ). Would it change the way you viewed the problem? Could you be the David standing against your community’s Goliath? I mentioned earlier that I closed the convening. Walking into the final plenary, I was surprised to see Pat Thompson, the inspiration for my closing piece. I had only mentioned her name once in a planning call, and StriveTogether staff member Paige Umberger made sure that Pat was present for the final performance to create a moment that I will never forget. Paige’s responsiveness is what I hope we can model while doing the work — to listen to our communities with the intention of creating a moment, a movement, a community experience, that they will never forget. I am honored to have the privilege of calling the StriveTogether Cradle to Career Network my friends in this work and I am grateful for the learning that took place last week. 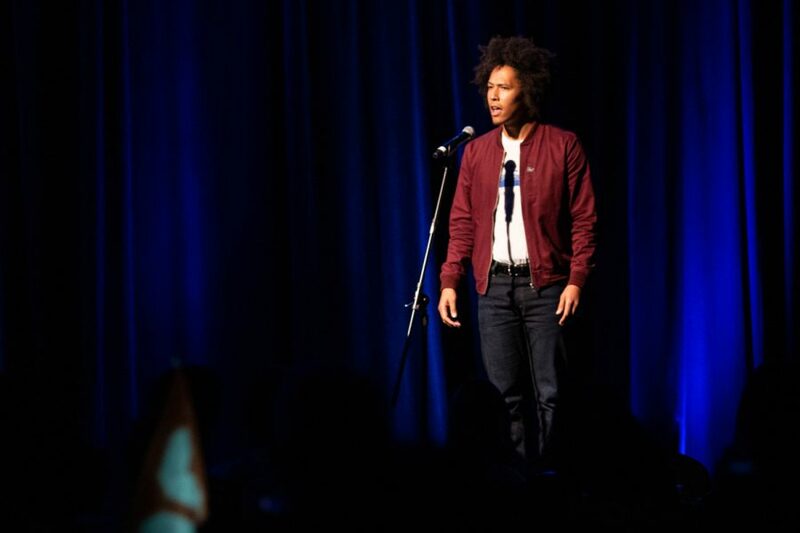 Christian Paige is an educator, keynote speaker and spoken word poet who uses his artistic expression to create change. A first-generation college student, he is a native of Tacoma, Wash. Follow him on Twitter at @CPaigeSpeaks.